We send out a monthly e-newsletter to update our riders on the latest Biki info, news, events, promos and more. 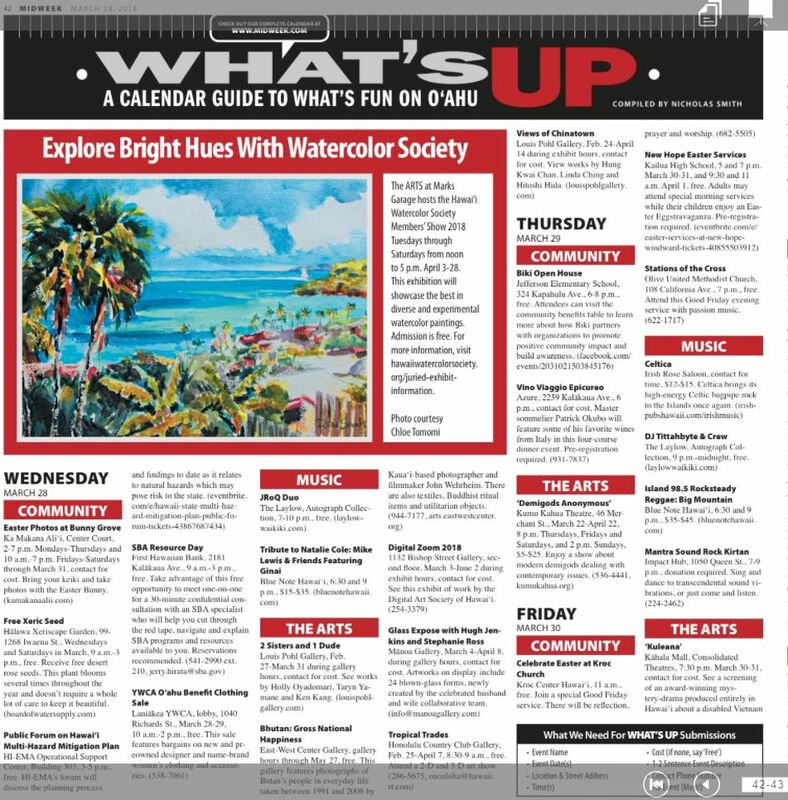 Don’t miss out – subscribe today! We are excited to announce that Hale Mahana, the soon to be completed off-campus apartments for students in Moiliili, is supporting Biki with a major donation! Hale Mahana is located at the corner of University Avenue and S. King Street, adjacent to the University of Hawaii at Manoa and Chaminade University, and a short bus ride to Hawaii Pacific University. With this new relationship, Biki and Hale Mahana will work together to provide an affordable and sustainable transportation option for UH students, faculty, and staff, as well as the community. Biki’s goal is to have five to six Biki Stops at the Manoa campus this summer and a new Biki Stop location right at Hale Mahana. In addition, our summer expansion plans include Biki Stops in Makiki mauka of the H-1 freeway and some in-fill in Moiliili to ensure that there is an efficient route leading to the university. “One of our platforms for resident living is our Live Here. Live Well. campaign. We want to encourage living a healthy lifestyle while enjoying where you live, so the partnership with Biki is an exciting one for us! We’re thrilled to have our own Biki Stop on site that will help our residents and community residents get around easily and inexpensively all while reducing traffic,” said LaNiece Dillon, Hale Mahana Community Manager. Expanding our system will allow UH students, faculty and staff members to connect to the current Biki network that spans from Downtown to Diamond Head. Not only will they will be able to use Biki when commuting to and from campus, they also can take advantage of the many retailers, food establishments, entertainment and businesses located conveniently within Biki’s 100 station network. “As a student at Texas Tech University, I did a case study on Wall-to-Wall Studios and their branding of Biki! I loved the idea of a bikeshare program in a city that was efficient and user-friendly. Flash forward several months and after moving from Lubbock, Texas to Honolulu, Hawaii I was able to use and see these bikes in action. It was such a cool experience to see something I read about and did presentations about in real life! After starting as the leasing and marketing manager, I leapt at the opportunity to help support this program that wants to better the community, much like Hale Mahana! We are so excited to partner with a great organization and brand,” added Amanda Leilani, Hale Mahana Leasing and Marketing Manager. 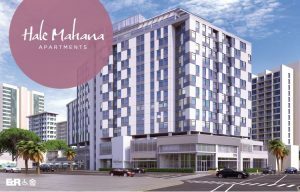 Hale Mahana offers apartments ranging in size from studios to four bedroom apartments with amenities including a rooftop fitness center, computer lab, breakout rooms for study groups, and laundry rooms on each floor. The first floor will have seven restaurants and shops including Pieology and Jersey Mike’s. Hale Mahana’s apartments are not exclusively for students, but are built to suit a collegiate lifestyle, with individual leases and community-wide events. Students will be moving in August 2018, just in time for the fall semester. 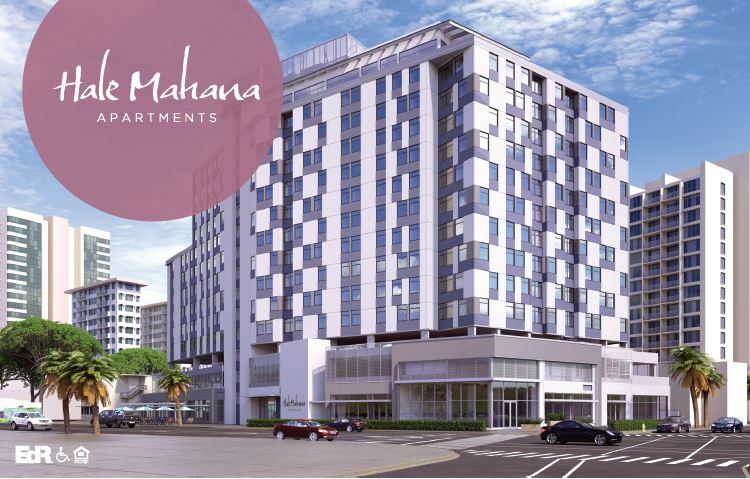 For more information about Hale Mahana, please visit its website or stop by the leasing office across S. King Street from the construction of the apartments (in Puck’s Alley). Biki Stop #458 is right outside! 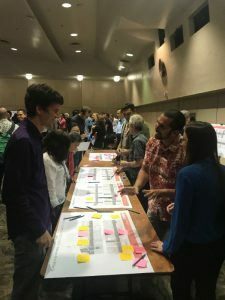 On March 22, Bikeshare Hawaii joined over 150 other members of the community to hear from the City’s Complete Streets team about what they’re proposing for Pensacola Street and Ward Avenue improvements. It was great to hear that their plans are informed by data and community input: feedback given during the early outreach phase influenced the city to consider protected bike lanes on Pensacola Street instead of the originally proposed Piikoi Street. 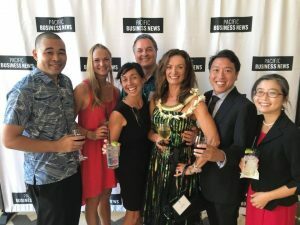 A survey that was conducted also indicated that 18% of those living within the Honolulu Urban Core do not own a car and 10% bike to and from work or school. This supports the need for street improvements that accommodate a variety of transportation modes. And in fact, 76% of those surveyed support complete streets policies that call for streets and sidewalks to be designed to accommodate all users and modes safely. After the presentation concluded, attendees reviewed copies of the proposed project plans and offered site specific feedback and comments. The City’s complete streets team will take these into consideration as they finalize the project plans. Bikeshare Hawaii CEO Lori McCarney was recently honored with Pacific Business News‘ Women Who Mean Business Award. Lori was recognized for successfully implementing Hawaii’s first bikeshare service. This is truly a well-deserved award as Lori has worked tirelessly over the past three years to make bikeshare a reality for our state. In less than nine months of service, Biki has amassed more than 560,000 rides! 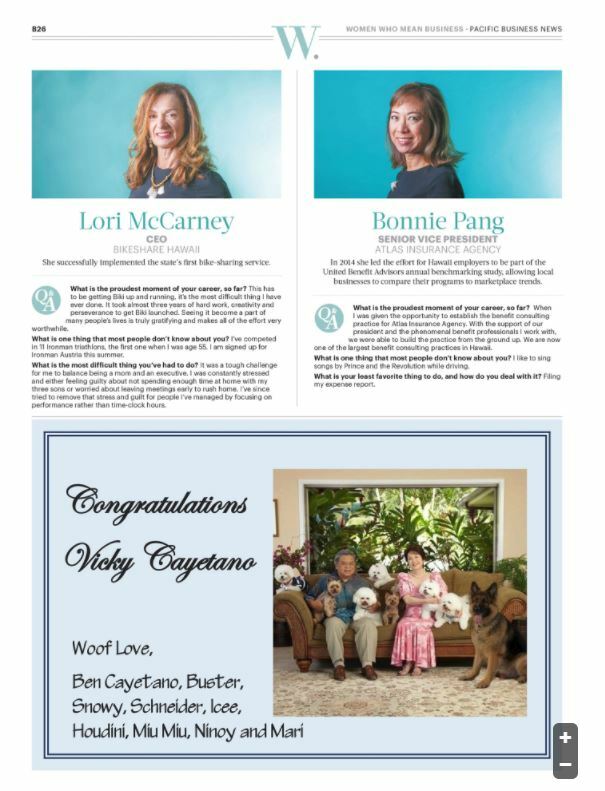 Congratulations, Lori! We are honored to have such a dedicated and passionate woman leading our team. Watch a video of Lori accepting her award, on what else, a Biki bike! We love seeing so many people enjoying the use of Biki to get around town. However, we also would like to remind Biki users that riding on sidewalks, especially in business areas, is strictly prohibited. If you are riding in Waikiki, please use the single-bike lanes on Kalakaua Avenue when going Diamond Head bound. If you are going Ewa Bound, please use the single-bike lanes on Ala Wai Boulevard, not the Ala Wai promenade which is for pedestrians only. 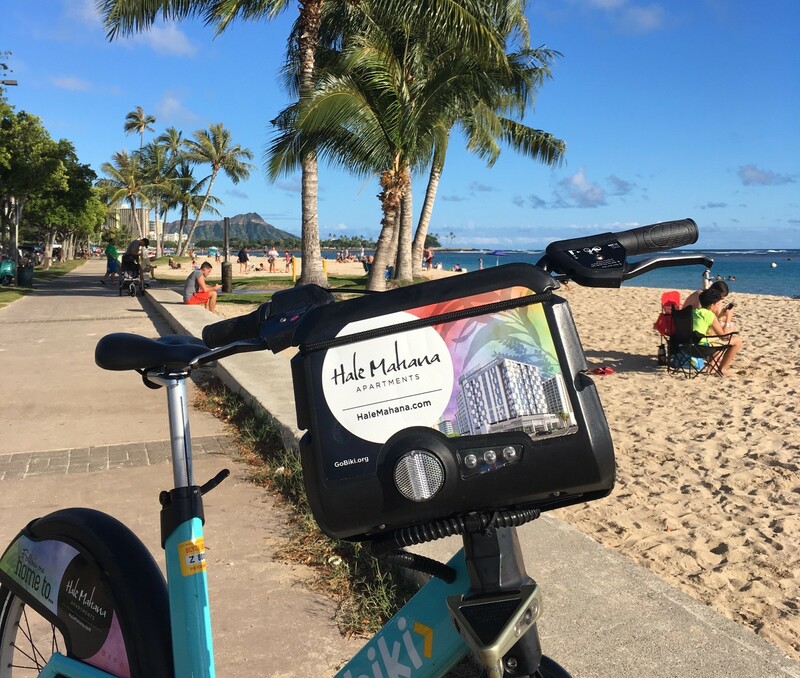 Want to see Biki in your neighborhood and learn more about Honolulu’s bikeshare program? Or do you want to share your thoughts about Biki and participate in the upcoming expansion phase? Bikeshare Hawaii invites the public to attend a Biki Open House to get the latest updates on the Biki program and learn more about the summer expansion plan. Attendees will be able to review potential sites for up to 50 new Biki Stop locations, suggest new Biki Stop locations, share input and ask questions. 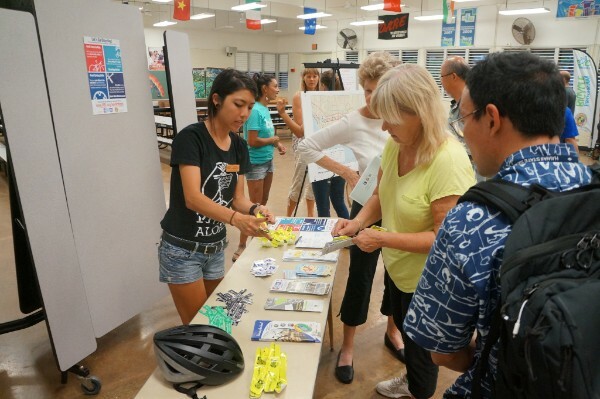 Representatives from the Hawaii Bicycling League and the City and County’s Complete Streets Program will have informational tables about safety, cycling laws, and planned infrastructure improvements. Community partners such as Hawaii Pacific Health, HMSA, Blue Zones Hawaii and Hale Mahana will also be in attendance to speak about how bikeshare supports their initiatives related to improving public health in Hawaii. Plan: $25 Monthly Plan; I chose this plan because of the flexibility it offers me to go on longer distance rides. I can go for a good hour-long ride in the morning without any interruptions. Biki helps me stay in shape, and is way more fun and cost efficient than a gym membership. 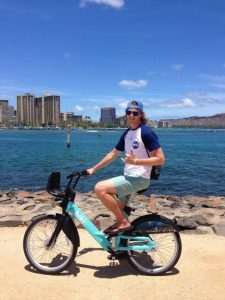 Why I love Biki: As a student of Urban and Regional Planning at the University of Hawaii at Manoa, I am thrilled to see our city being proactive towards offering alternatives to automobile transportation. Biki will take more cars off the roads, which will reduce green house gas emissions and relieve congestion on our busy streets! Biki also is an affordable commuting option for those who can’t afford the bus pass. Most importantly, it’s healthy and fun! I wake up every morning and take Biki around town and along the coast for an early morning workout. It’s the perfect way to start my day! Think you’ve got what it takes to be the next Biki Member of the Month? Send an email to info@bikesharehawaii.org with your Biki story or nominate a fellow Biki rider.